If you have ever worked on an idea or design of your own, you know that it is crucial to have a solid concept in place that can be easily shared with colleagues and potential investors. There are many key components of creating a successful design, but one of the most important factors is, of course, the details of the design itself. Not only the problem it will solve or why you think the design is relevant to your industry, but the actual measurements and materials that comprise the idea you have in mind. You may be thinking to yourself that you are already running a business, and finding time to sit down and draft a design may not be feasible for you, or may not be a skill set you are familiar with. That’s why we always recommend that you leave it to the experts. Find a company or designer who can turn your ideas into the product you conceived. This saves you the headache of slogging through the entire design process on your own and gives you the reassurance that your design is now in good hands that will help you find your next steps. So how does a design company go about constructing the details for your product needs? For an engineer, the process all starts with vector information, which uses direction and magnitude to create lines between two points to represent the design concept. The vector imagery is created through a Computer-Aided Design, or CAD, program, which allows the engineer to generate a 3-D model of the design. A 3-D model gives both the engineer and you as a client a concrete idea of how the final design will look and function. It is likely that your design will have multiple modifications and updates – as you and your design team work together to discuss the problems and potential of the product, you will almost certainly have to make some changes before your idea is finalized. You can always meet up with your design team for each change, but with everything else on your plate, you probably don’t have time for multiple meetings every month. You probably also don’t have the software needed to open and access a CAD file, which means you can’t look at your own design on your laptop. This is where a smart design company will leverage PDFs to streamline the overall process of completing your design. You already know that engineers can use vector information to create a 3-D model through a CAD program. However, you may not know that your engineer can also create a PDF of your design, with all the relevant information included. 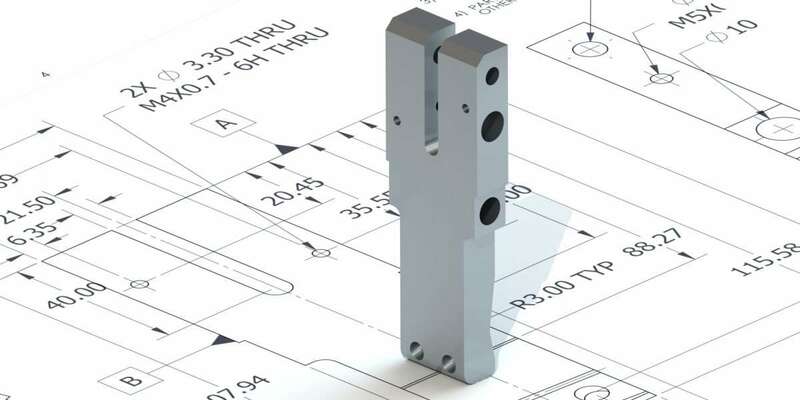 For instance, 2D PDF’s of mechanical and electrical engineering prints, 3D PDF’s of actual models and even more recent, MDB (Modle Base Design) documents. These MBD PDF’s can include dimensioning and allow the user to rotate the design to see far more detail than with previous 2D DPF’s. This means that instead of attending a weekly meeting to discuss every update to your product, your design team can send you the most current information in a PDF, which is easily accessed on just about any device. Another benefit of a PDF file is that it is easily shared with other people in your company, or with potential investors who may be interested in funding your project. You may want input from your marketing team on your design, or your legal department may have to sign off on any changes. With the right team, your PDF design documents can quickly be converted into artwork for patent applications. These PDF documents can save you money when creating your patent illustrations when used correctly. Whatever the case, you can quickly email a PDF file to anyone to get their feedback or even to keep them in the loop with the progress of your design. Creating a PDF with your product information is an efficient and effective way to incorporate new design ideas, make necessary modifications, or even create multiple options for your product to see which design makes the most sense for your needs. In short, you want an expert design company who understands the value of leveraging many different types of documents including PDFs to skillfully create your final work. If you have a design in mind and don’t know how to get started, we’re here to help. You can reach us today at 317-550-4006.